Okay, before initiating the transfer make sure you have backups or copies of anything you want from your old host. This includes content and images from your old website. Or copies of email information, if your your old webhost also hosted your email account. Right, I’m going to walk you through the transfer steps. It may sound a load of mumbo jumbo, but if you follow me step by step, it’s a cakewalk. Ready? We’re going to look at matters relating to your old host first and then turn to matters relating to your new host. 1. Get your domain authorisation code from your old host. This is the keycode by which you personally authorise the transfer. It’s also called the EPP code. You’ll need to contact your host to get this EPP Code. With some hosts you can find this information easily by logging into your client area and searching their knowledgebase. Or you can simply contact your old host’s support. You’ll need this EPP code when you initiate the transfer at Siteground in a moment. 2. Change the nameservers on your account at your old host. This is just a fancy way of describing the process of setting up a redirect from your old host to Siteground. Again, you’ll have to ask your old host for instructions on how to do this. Every webhost is different, but they will more than likely direct you to a specific section in your client area. However, you’ll need to check the notification email Siteground on sent you on sign-up to confirm the precise nameservers required. Alternatively, you could login into your Siteground account to confirm this information: Siteground User’s Area > My Accounts > Accounts DNS. Yes, both names/codes must be added. 3. (If required) Ask your old host if they can give you a download of your email history or whether you can transfer your email history to your new webhost. The good news is that aside from the geek-speak this is standard transfer procedure and you should find your old host helpful and accommodating. The bad news is that you have to do this process yourself since you are the domain owner and only you can authorise the process. 1. My domain authorisation code (EPP Code). 2. Instructions on how to change the nameservers. 3. Instructions on transferring my email history to my new host. 1. 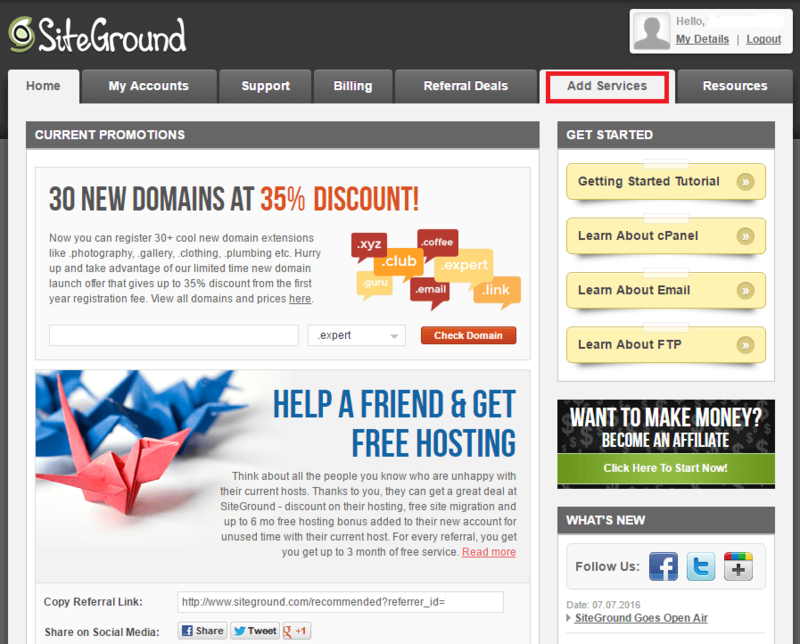 Login to Siteground with your login information. 2. 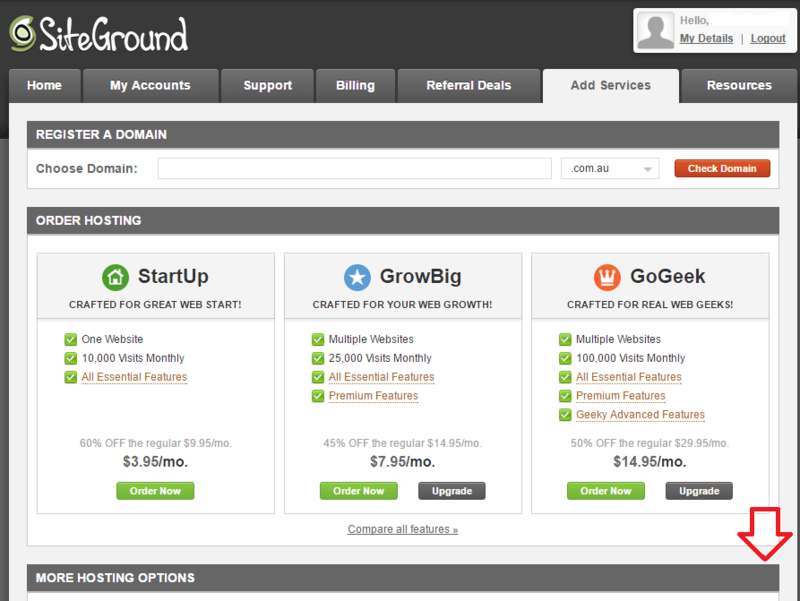 You’ll be presented with your Siteground User’s Area. Select the “Add Services” tab. …until you get to the ORDER EXTRAS section. 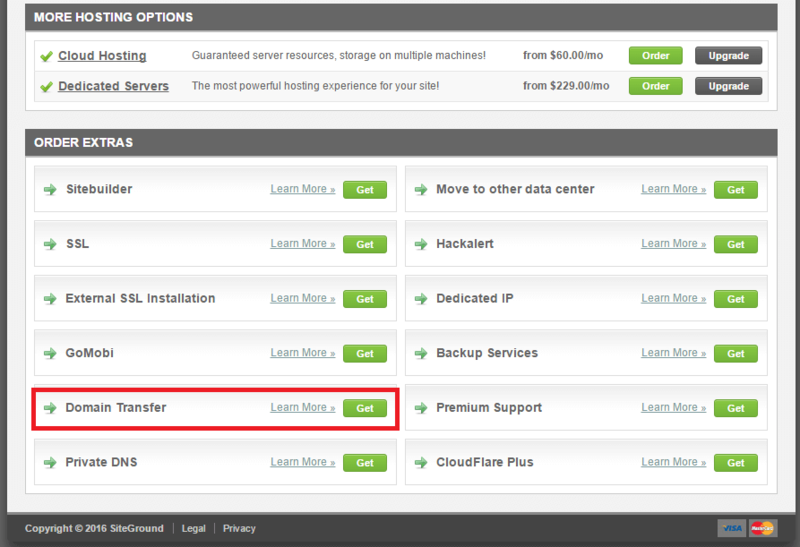 Select “Domain Transfer” > “Get”. 4. You will be presented with this page. If you have a .com domain, simply add your domain name into the required field. 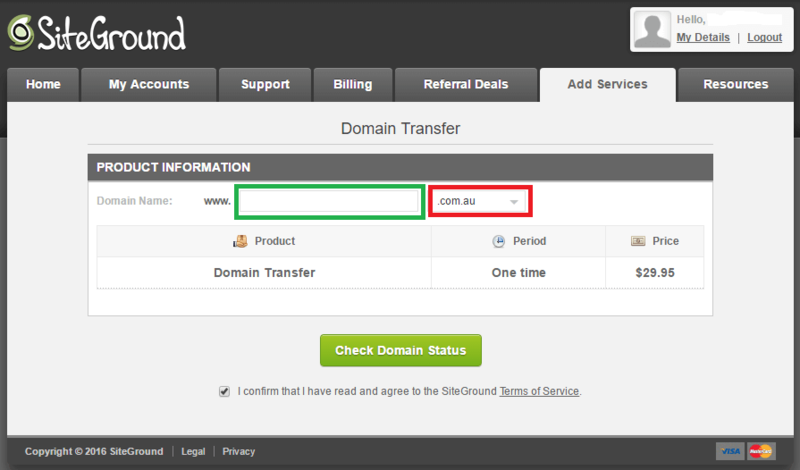 If you have a .com.au, select it from the drop-down list and enter your domain name into the field required. Australian Law requires two-year registration periods for all domains. Hence, the $29.95. 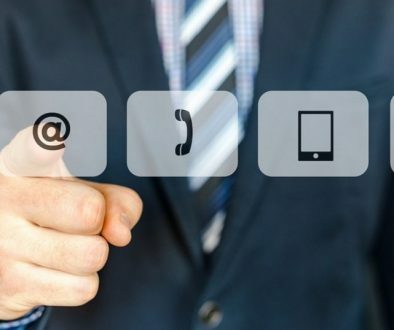 You may also be asked to submit your Australian Business Number (ABN). 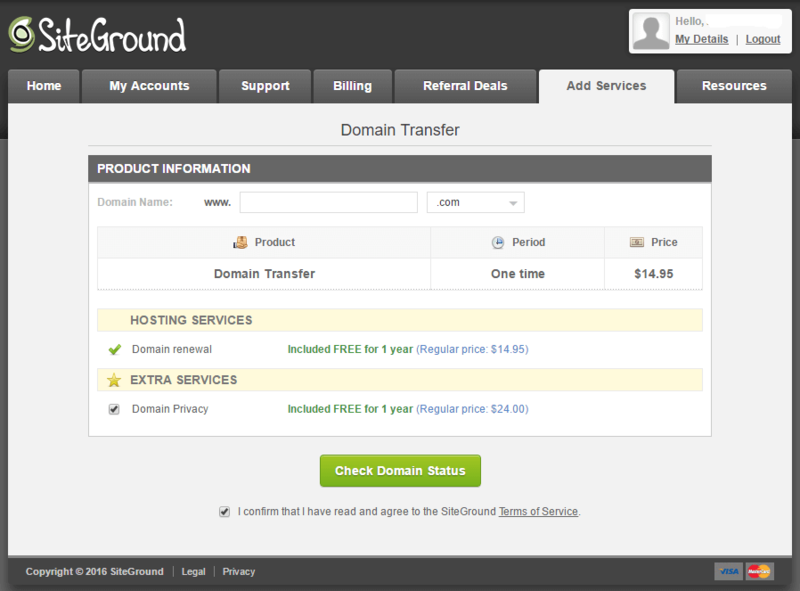 You will then receive an email from Siteground asking you to verify the transfer. For this you will need your domain transfer code (EPP code) from A1 above. Submit the EPP code and verify the transfer. 5. Now, wait while the domain name propagates. It can take anywhere between a few hours to a week, and you can chart it’s progress around the world here. or brainstorm designs ideas for your site.